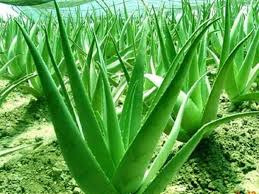 Seaweed, Aloe Vera And Cactus Products. Seaweed, Aloe Vera and Cactus products The Cactus pear fruit and the uses of cladodes as crop has much to contribute to human food, and there can be a hope for new human medicine, source of natural additives for the food industry, and mainly, more than a 'bridge of life' for low-income inhabitants in different parts of the world an additional source of income. The numerous possibilities of obtaining different products and by-products are enormous and these possibilities of obtaining different products and by-products from cactus pear and nopal open up new hopes The young cladodes ('nopalitos') or leaves of the cactus plants have commonly been consumed fresh, but the last decade's research studies on cactus pear processing have produced other alternatives and to prevent damage to the pads and fruit. The high soluble solids content, low acidity and high pH, adds value to this crop. The cladodes (young leaves) of the plant are a good source of fibre, an important element for the human diet and of considerable potential for medical use. The focus here on the production of juices, marmalades, gels, liquid sweeteners, dehydrated foods and other products produced from cactus.